The Retail team approached Brand Studio when we were revamping the Retail Ads Marketing sites to include a partners site. I worked with the 5 different retail groups to establish and define the different products and services each of the partners provided as well as how to categorize them between groups. 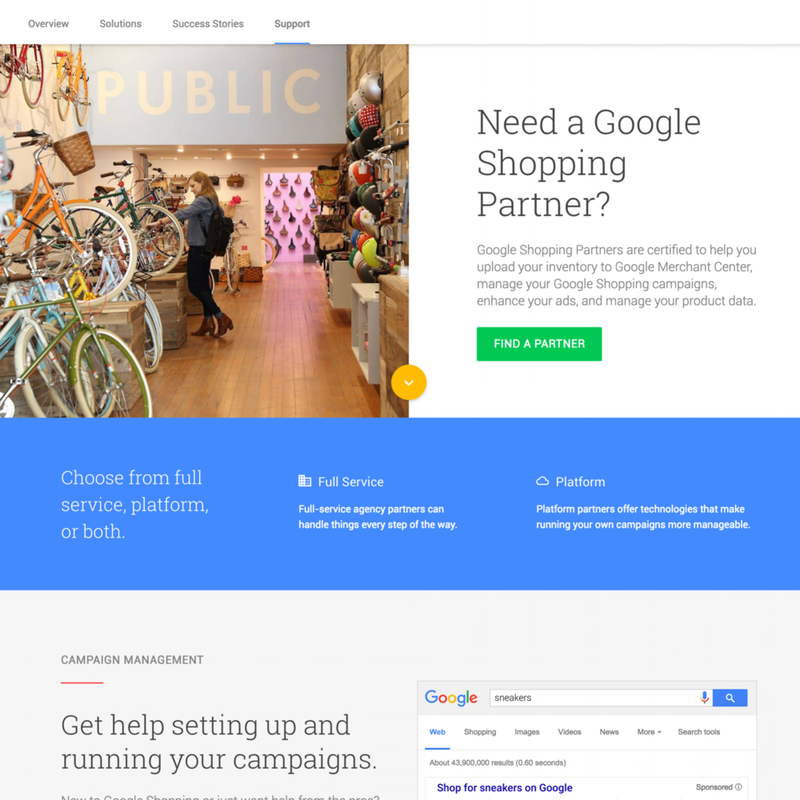 Cross linking component placed throughout the Retail sites environment to the Google for Retail Partners site. Publishing Platforms team approached the Brand Studio to turn the AdSense Partners site into a new partner program that included all publishing partners— partners that would be certified in AdSense, AdMob and DoubleClick—a single certification for all of Google Publisher Ads products. After launching and localizing the sites for the larger Ads Marketing sites ecosystem , I was asked to join the Publishing Platforms team as Product Marketing Manager for the remainder of the year to oversee the Certified Publishing Partners program, and finalize the work on the AdSense site redesign and localization. Covered PMM on end of year projects and goals. Q1/Q2 2016 budgets and planning. Oversaw UX site updates and scoped further launch phases of Certified Publishing Partners site from previous role. Worked with embedded agency and Brand Studio Dev team. Oversaw completion of AdSense site localization for 37 countries from previous role. Created, designed and oversaw development of Certified Publishing Partners quarterly emails and landing pages with Sales Team. Served as Certified Publishing Partners Program Manager with OPG Team, ran weekly stand ups. Deprecated AdSense Partners program, redirected to new Certified Publishing Partners program. Initiated the social media strategy for Contributor, a new ad-blocking product where you could still support websites. Editor and copywriter: Case Studies, interviewed publishing partners with team to write more comprehensive case studies in new Google Ads brand voice and tone. Created templates and guidelines for team and on-boarded copywriters to ensure that case studies would all follow same voice and tone, and structure. 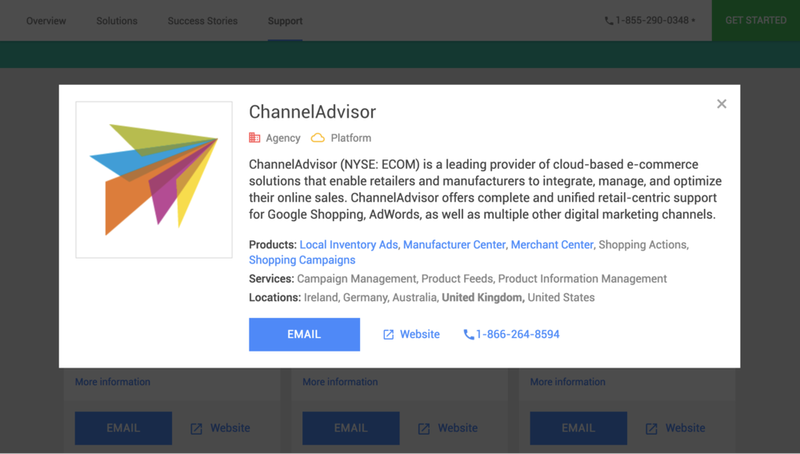 Individual creative for 6 markets, plus standardized creative for tier 2 and 3 markets of all Google for Retail sites, in 37 languages. Facebook IQ brand redesign and site refresh. Content Strategy, UX Design, Front End coding, design system production.